These small pieces of equipment add up to big energy consumption. Although appliances and consumer electronics are getting more efficient, they still represent about 35 percent of the energy consumed in U.S. homes. 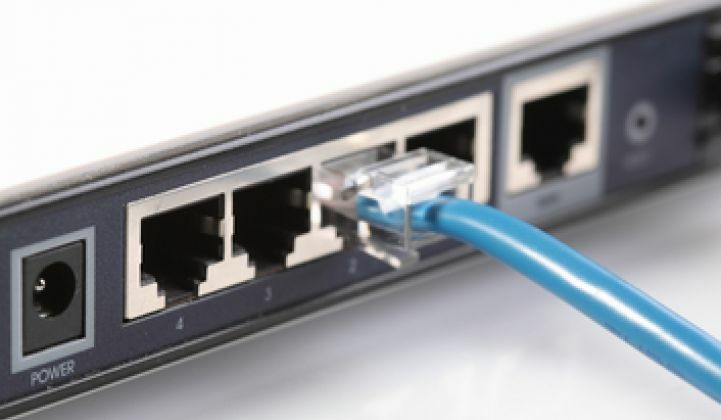 Here's another silent energy consumer to add to the list: internet connection equipment. 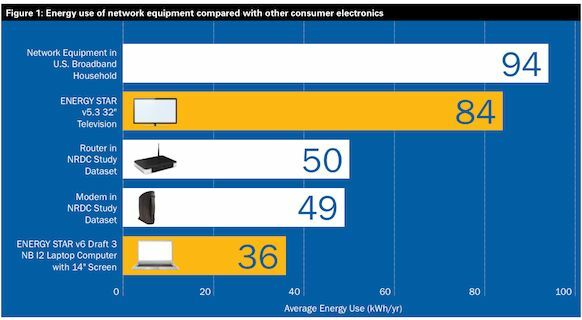 NRDC just released an analysis of small network equipment like routers and modems, finding that these devices together in a household consume about as much energy as a new flat-screen television. On a nationwide basis, these devices consume 8.3 billion kilowatt-hours a year -- more than the consumption of every home in Silicon Valley. Just as with DVR boxes, the newest models for networking equipment feature far superior energy performance. The NRDC analysis found that a full-on switch to energy efficient models could save 2.8 billion kilowatt-hours of electricity, which would translate into roughly $330 million a year in savings. Making that switch isn't easy today. Energy Star still hasn't finalized ratings for these technologies, which means consumers have very little information to consider (if they even care about the energy performance of a modem in the first place). And the switch would need to come from internet providers just as much as consumers, as a lot of customers get their routers and modems from service providers rather than purchasing them in stores. However, internet providers have very little incentive to encourage lowering energy use. NRDC suggested crafting performance mandates to encourage broader adoption of efficient internet equipment. "Industry has only begun to develop and deploy products with sophisticated abilities to scale power without affecting performance," wrote the authors. Performance improvements for electronics are crucial as consumers spend more time playing with their web-connected devices. A recent analysis from the Energy Information Administration found that a drop in residential heating and cooling energy consumption had been totally offset by the increase in electronics.